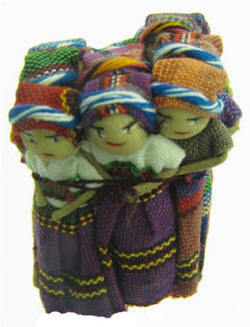 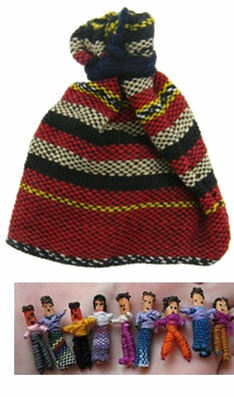 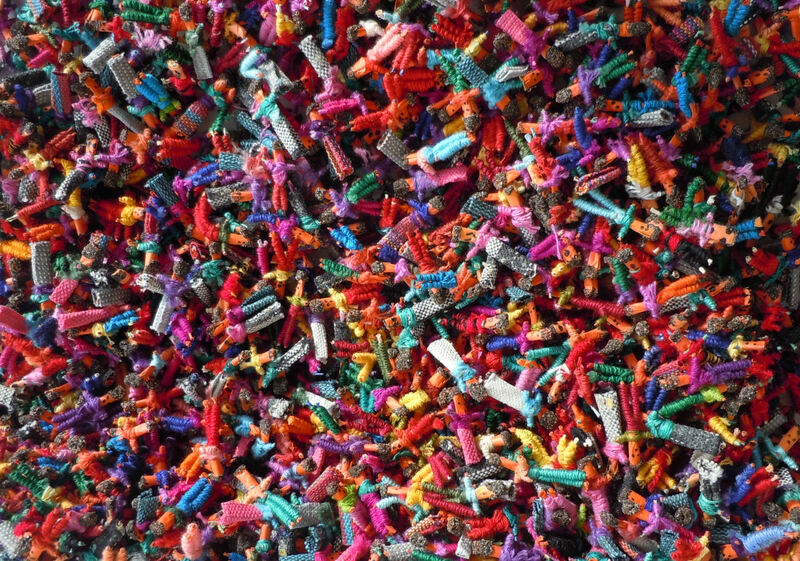 "Guatemalan Worry Dolls. According to legend Guatemalan children tell one worry to each doll when they go to bed at night and place the dolls under their pillow. 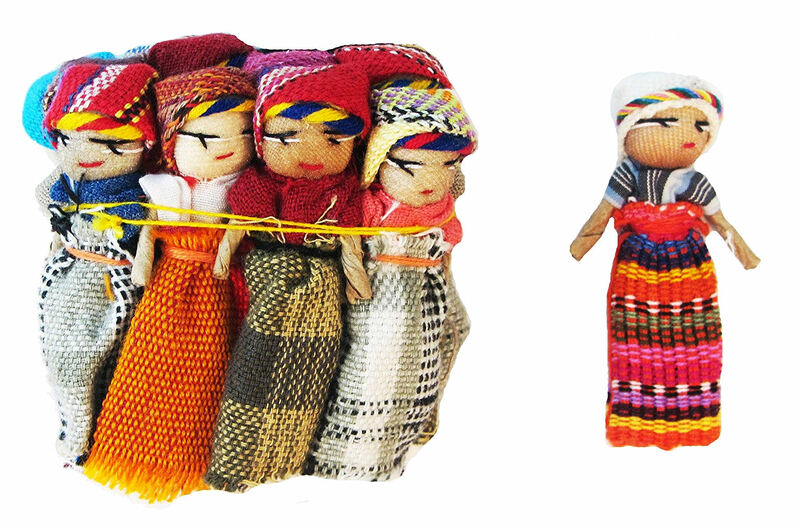 In the morning the dolls have taken their worries away."